Frameless. In this mode Helpinator generates a set of HTML files and index.html with TOC. There will be no frames and left-hand menu. Single page. In this mode Helpinator generates single HTML page with all topics in it and TOC at the top. 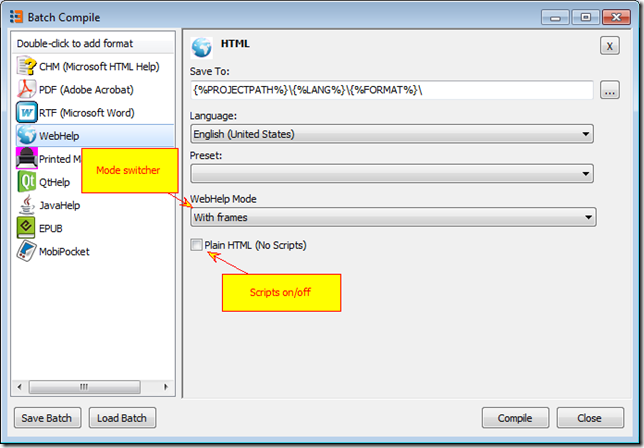 Toolbar button “WebHelp” function remain the same – “With frames” and Scripts turned on. 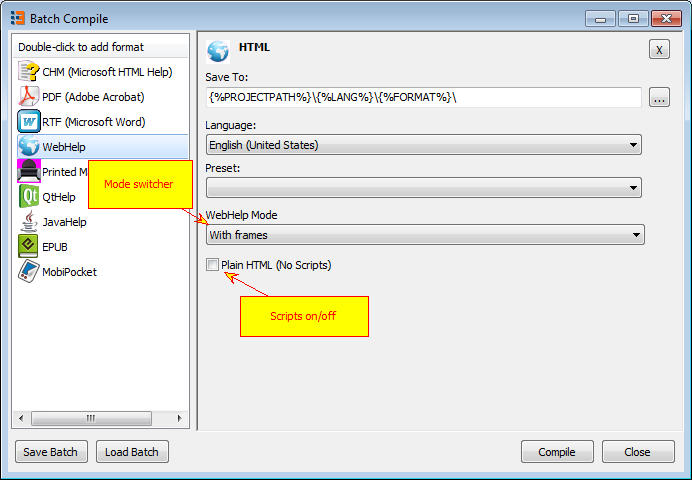 To alter WebHelp mode you have to use new “Batch Compile” function. This entry was posted in Help System, WebHelp, What's new and tagged webhelp by dmitripopov. Bookmark the permalink.